Scotrail workers have voted to accept a deal to settle a dispute which centred on guards on trains. Members of the RMT rail union backed the proposal, which was thrashed out in a series of negotiations, by ten to one. A spokesman for the union said the agreement protects the safety critical role of the guards on all current Scotrail services. Mick Cash, RMT general secretary, said; “Our members have backed a deal in a referendum ballot that is a major victory in the fight to stop the compromising of rail safety through the extension of Driver Only Operation. “This deal, which represents a benchmark for the industry, is exactly what we have proposed as a resolution to the Southern dispute. If it’s good enough for Scotland it’s good enough for the South of England. “The deal guarantees a guard on every new electrified train and that the conductor will retain their full competency including rules, track safety and evacuation. 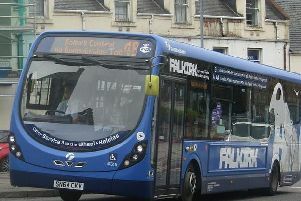 In addition Scotrail confirms that trains operating these services will not run without a competent conductor on board‎. Phil Verster, ScotRail Alliance managing director, said: “I am pleased we have reached an agreement with the RMT and ASLEF unions that brings this dispute to an end. This ends the uncertainty for our people and our customers and allows us to concentrate on delivering the best possible service for Scotland, every single day. “What we have put forward will make our service more efficient and more effective, while maintaining and enhancing the service we provide to our customers. It means that the new faster, longer, greener trains that will arrive in autumn next year really will be a revolution in how we deliver our service. “We are about to enter into a new era for ScotRail. Over the course of the next year or so, we will see hundreds of new and refurbished trains enter service. We will have shorter journey times, more services and more seats than ever before – and, our Smart ticketing and exciting new products will take the hassle out of travelling while providing a whole new level of value for money travel.